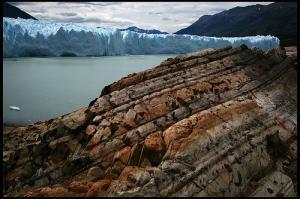 Patagonia is one of the most extreme places on Earth. The mountains reach high, the climates drop low, the land stretches long, and the population is sparse. For these reasons, and many others, it is one of the mostly highly sought locations for outdoorsmen around the globe. And if you don’t believe us, maybe you’ll be more convinced when it hear it from the mouth of one of the most well-known adventurers in our current day and age – Bear Grylls. Bear Grylls is the British host, author, and star of Discovery Channel’s Man vs. Wild. He spends his time traveling the world in search of beautiful locations, new adventures, and extreme experiences in nature that will challenge his renowned survival techniques. This week he took us to Patagonia and gave us a taste of the true ruggedness manifest through the south of Argentina. Now I don’t imagine that most people would choose to strand themselves in the middle of the Argentine steepe without any form of food or water, descend down a crevice of one of the world’s largest glaciers – Perito Moreno, or climb 250 feet straight up the vertical face of a rock without a safety rope; but nevertheless Bear’s show will give you a great impression of the beauty and vastness of the rugged Patagonian outdoors. And not only that, but if by chance you do ever find yourself in a jam, you’ll be well equipped with the best survival techniques from Bear’s expert lessons. This week was the first episode of the two week Patagonia special on Discovery Channel’s Man vs. Wild where Bear took his loyal fans on an adventure to Perito Moreno. The Perito Moreno Glacier is the largest of the thirteen glaciers located in Los Glaciares National Park in the Santa Cruz province of Argentina. It is one of the most important tourist attractions in the country and one of the most important glaciers in the world. This UNESCO sanctioned World Heritage site is characterized by spectacular views of crystal blue glacial icebergs that will take your breath away. And just as Bear demonstrates, the beauty of this natural wonder can just as easily be a threat if you don’t keep your distance. I don’t recommend rapelling down a deep dark crevasse of ice that may collapse around you at any time as Bear so eagerly does in his show, but if it is a trek on the glacier that you want, or a boat tour through Argentino Lake, there are regular tours offered from the local agencies out of El Calafate that will make sure to show you a good, and safe time. When Bear finally escapes from the icy front of the glaciers, he finds a companion for the rest of his episode 1 adventures – a real Argentinian gaucho who accompanies him through the rugged terrain. The gauchos are the cowboys of these southern lands that live a very rough and old fashioned lifestyle. They are an important part of the Argentine culture and national tradition. With the beautiful Andes Mountains as a backdrop, Bear and his gaucho friend follow the path of a Patagonian puma in an attempt to track him down, they ride horse back across the endlessly arid and flat lands, and they even eat raw meat from a cow which had fallen victim to the wild animals that roam the land. Bear Grylls shows us Patagonian adventures at an extreme. Traveling to these deep south lands under the same conditions in which he travels, many not be very appealing to the masses; however once you see these special episodes of Man vs. Wild you will definitely be inspired to discover more about the true spirit of Patagonia and jump into an adventure of your own. Thanks to Zamario for the beautiful picture. 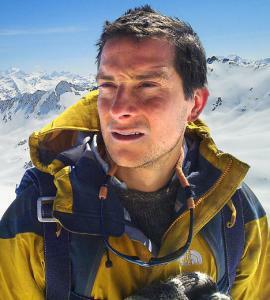 I think that Bear Grylls is an amazing athlete, but he over-dramatizes his show to the nth degree. I actually think he encourages unsafe practices, and doesn’t give us any real knowledge about being safe in the wilderness. I thing he is truly a wonderful man because he have seen almost all stunning places in this gorgeous world because that’s the spirit to come in this world and see what Allah have made for us,and we can see this world with bear,s eyes.I m really impress and just keep it up man ! love u….. This page rendered in 0.275 seconds.